Passive structure design of 'Wind Energizer' by 'Leviathan Energy Inc' reportedly increases wind turbine efficiency 30% in field tests. 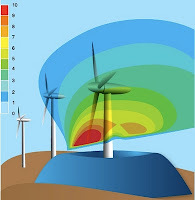 'Technological advancements in wind energy efficiency have generally come incrementally and usually made via a process of increasingly large wind turbine blades . Put simply: longer blades meant more output per turbine. But that pattern of incremental improvements may be a thing of the past if Leviathan Energy has anything to say about it. Leviathan Energy has completed initial testing on their Wind Energizer unit and is reporting gains in wind turbine output in the ballpark of 30% — and as much as 150% at lower wind speeds. 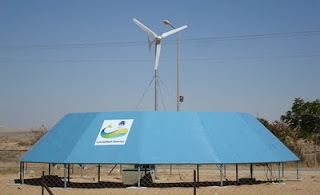 Units can be adapted to any wind turbine from any manufacturer.